My attempt at my inspiration! Do you like? I have a very fierce fashion. Some people would call it fashion forward, or "hip", or just stylish. I call it fierce. Anything that has weird graphics, spikes, or big pockets is what I think my fashion is. I also have a side of me where I like vintage clothing. That is totally me. But my eye would go more toward "fierce" clothes. Actually I just changed it. I call my fashion fierce vintage. I don't care if that isn't a type of "fashion." *FYI* The see-through maxi skirts are my new obsessions. I adore them so much. I think i am gonna make one! Sorry we've been MIA lately! We've been extremely busy. We're back now ready to give some more fashion advice! It has to be the right kind of t-shirt. Go to H&M or Urban Outfitters to find the perfect fit. It should be well made, and have something on the front. Not plain or anything like that. 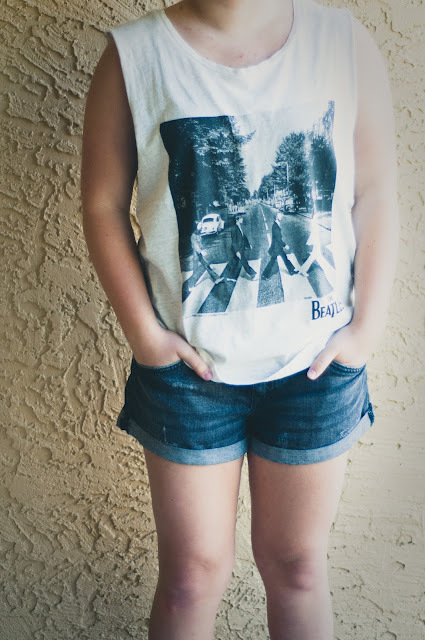 Pair it with a nice pair of denim shorts and boots (particularly combat boots, or something to that effect. The boots are what will really make it more fashionable. Accessorize correctly! Add some long earrings, or something to catch people's eyes. Try a chunky bracelet or necklace too. If you're feeling even more daring, wear some tights under the shorts. This can add a lot more appeal and is extremely eye catching! Well, there it is! 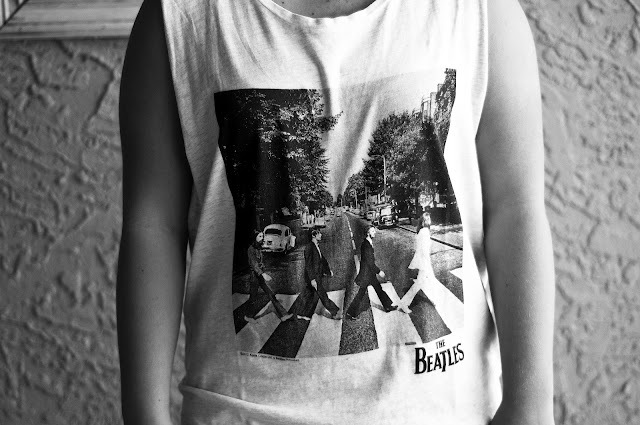 How to fashionably wear a t-shirt. It's perfect for a casual day out with friends. If you happen to try it, we'd love to see it! Email a photo to us or post the link in the comments section! The Grammys, as we all know, is musics biggest night. I love watching award shows but the one thing that i really look forward to would be the fashion. I was really surprised on the outfits that the celebrities chose. I saw a lot of glitter, and to me most of the outfits were very elegant and classic. I will show my favorite outfits and my not so favorite ones. Nicki Minaj. I really liked her creativeness with this outfit. Would i wear it? NO...but for her I think she did a fantastic job! I loved her dress. It was so classy and chic. It fit her body SO well, I would wear that in an instant. But the one thing I had an hard time with was her clutch that she chose. Black clutch? Not what I was expecting. A silver clutch would've been more satisfying. This dress is so perfect. So classy. Fits her body AMAZINGLY. I love it. I love this band and I love there style. They nailed it. Fergie. Fergie. Ferfie. What did you do? I did not like this outfit. It is so bad. I can't even begin to tell you how much I hate that dress. Honestly. I love love love love the color. I think she would've been better of if she put a black 1 piece slip cover under it. I really liked this dress....except the hair and the color of the dress. To me the color of the dress looks Easterish. But the cut of the dress is very flattering! I don't like this dress at all. I am sorry but it isn't flattering. I don't like the colors at all. I think she is totally cute and could of done better! I loved everything about this dress except the top part. I would of loved this if it was a sweetheart neckline or anything else. 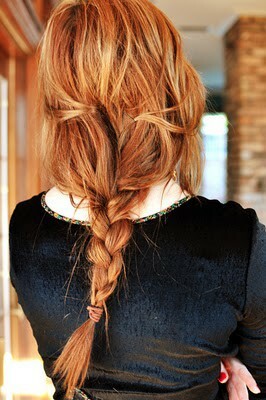 Braids is a hair style that never goes out of style. It just some how sticks around. But lately I have seen it every where. 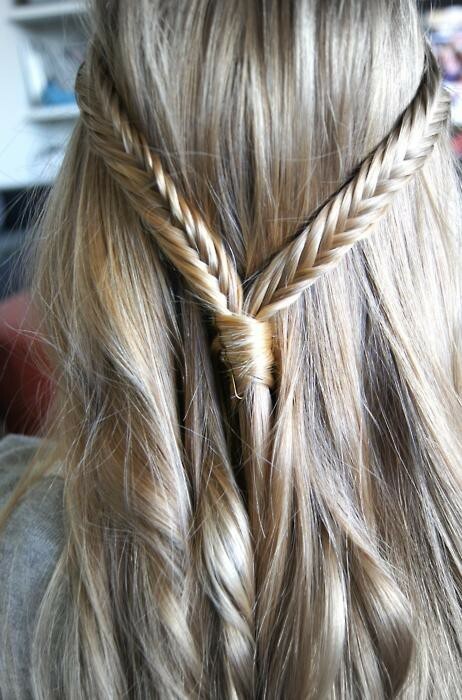 Either it is a fishtail or a regular braid it is every where. My favorite is #4 and #5. I think that purses are such a necessity to any outfit. Purses just finishes the outfit. It is the cherry on top to any outfit.